Born and raised in Long Beach as a first generation Mexican-American I faced many challenges while enrolled in public education. There was no support from teachers or staff on campus to guide the students that struggled academically. Unaware of valuable information that could change my life, it was community organizations like Californians For Justice that opened up my eyes to the possibility of attending a four-year university. During my sophomore year in high school, I tried to talk to my counselor to ensure I was on the right track to attend a university, he was very shocked that I wanted to go down that route. Even after I approached him he was trying to keep me on the track to start off at a community college. That was the moment when I really felt like he was implying that this was my only option even when I asked specifically for guidance towards more advanced courses. Long Beach is one of the most diverse cities in California and yet we lack equal representation on the Long Beach Unified School District (LBUSD) Board of Education. 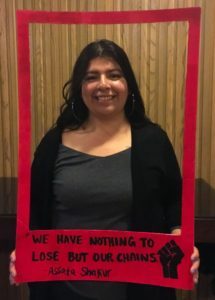 Students of color make up more than half of the public school population and yet over the years those seats have been taken by board members that have failed to understand the needs of the communities they represent. As a first-generation college graduate with the privilege to vote and bring change, it is up to me to be the voice for my parents and future generations. As a young voter I believe it is our right and duty to express our concerns and choose a champion for our students and families. 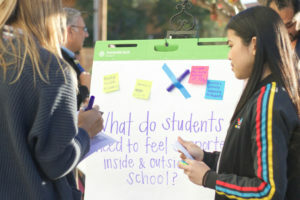 A school board champion would be able to interconnect with the many communities of Long Beach, understand what our schools need in order for all students to have a quality learning experience, how to allocate the funding in areas that will benefit the learning of all students and most importantly, be someone who values the power of the youth. 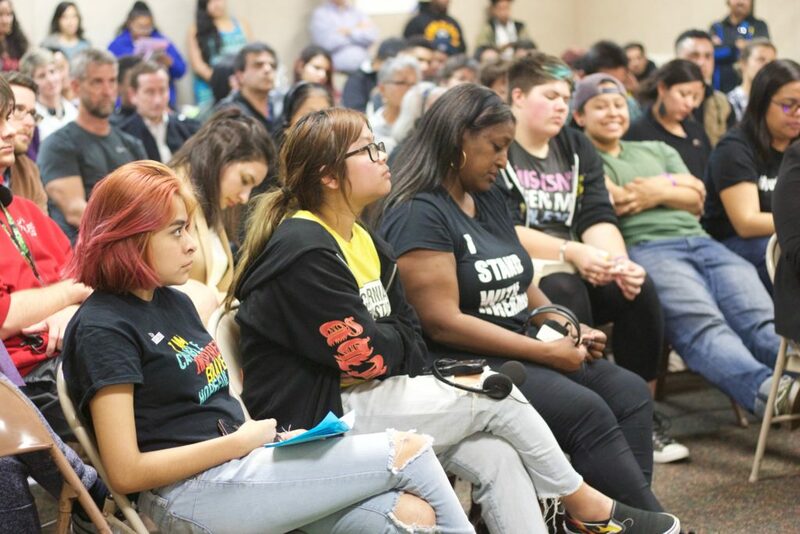 Attending Californians For Justice’s event last month, “A Conversation with LBUSD School Board Candidates,” gave me insight on the different perspectives and beliefs of each candidate running for school board this spring. All three of the candidates for District 3 are of Latino backgrounds, making it possible for the first time in 24 years to have a candidate that represents more than 50 percent of Latinx students who make up LBUSD. The candidates had strong points and the passion to lead as a Board Member. “We need a policy that takes into account relationship centered schools,” said Dr. Juan Benitez. He emphasized that student and teacher relationships have never been of importance in public education but that now needs to change. From my own experience in the district, I faced many academic challenges and only remember a few teachers that actually cared about my education. It is time to change that. We should create a culture within the school system that builds the relationships at an early age. Students should feel safe and comfortable around the adults with whom they spend an average of eight hours a day. When students, parents and community members are at the table, we are including everyone to build a better education system that supports the needs of all in Long Beach. Building stronger relationships between community members and the school board in Long Beach can bring about the change that is needed in our schools. During the event, Dr. Eduardo Lara stated “there’s a need for intersectional approach to student equity needs,” and held this idea up as something that many of those in the school district currently fail to do. He said, adults are quick to speak on behalf of students’ actions without understanding the layers that are behind those actions. Our students are faced with social inequalities that are out of their control and we have to find different approaches to tackle those obstacles. Dr. Lara’s vision is to understand our students’ social and cultural lives for them to succeed academically. With the many diverse languages spoken in Long Beach, it is important to show that we care about our students, and Dr. Lara talked about a dual immersion system at our schools. He has over twenty years of teaching experience and one of his key focuses is bilingual programs. The final District 3 candidate, Cesar Armendariz, said he wants to build communities of support around students “where students feel like they can talk to adults freely.” This is significant in a student’s life because some students might face challenges at home that prevent them from trusting an adult at school. If we had a safer environment at school where students can talk about their problems I believe that we can stop many tragedies from happening. When a student feels supported they can achieve great things and even one conversation can change their outlook on life and have a lasting impact. For many of us, education is our only way out of poverty. That’s why it matters who we have on the school board. They have the power to determine the policies, goals, funding priorities, and practices schools will implement in the next four years. These elections are significant as we have three very strong candidates running for District 3. I truly believe that all of them have great passion for the education of our students and the social justice movement. I encourage all young voters to use their voice and go out and vote. Together we have the power to create systematic change that will have a lasting impact for the future generations of Long Beach.